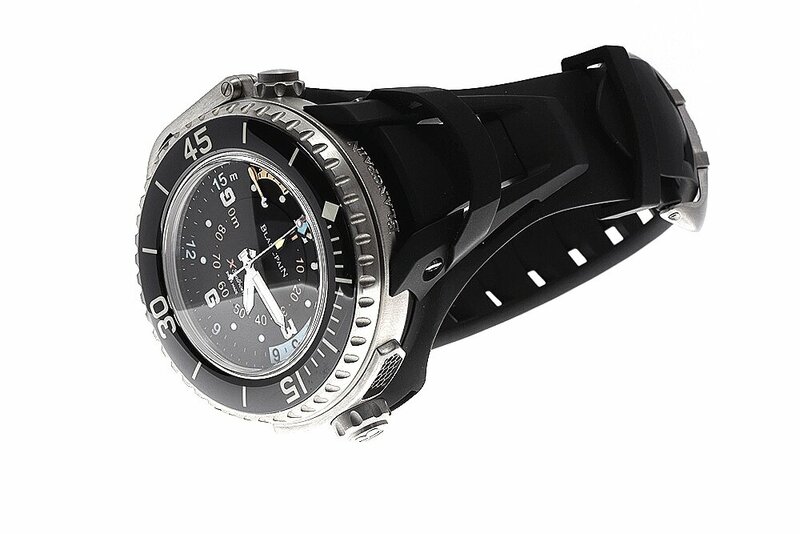 There are two depth indicators, a maximum depth hand and a five-minute countdown timer for decompression. To measure depth mechanically requires a pressure sensor which necessites a design employing a membrane that would deform under pressure. The membrane was made from Liquidmetal™. 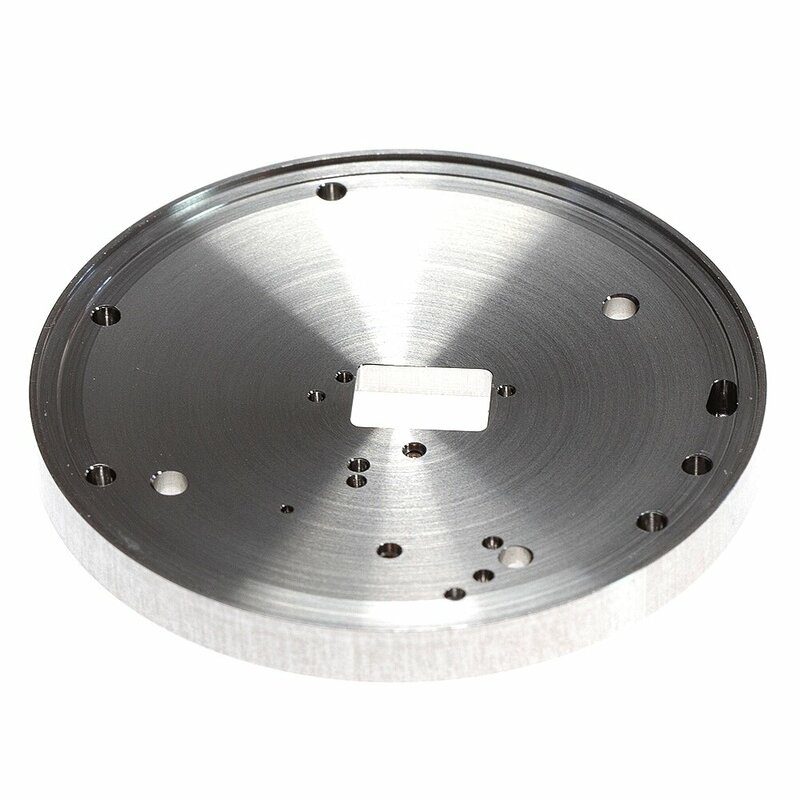 This is an amorphous metal alloy comprised of zirconium. 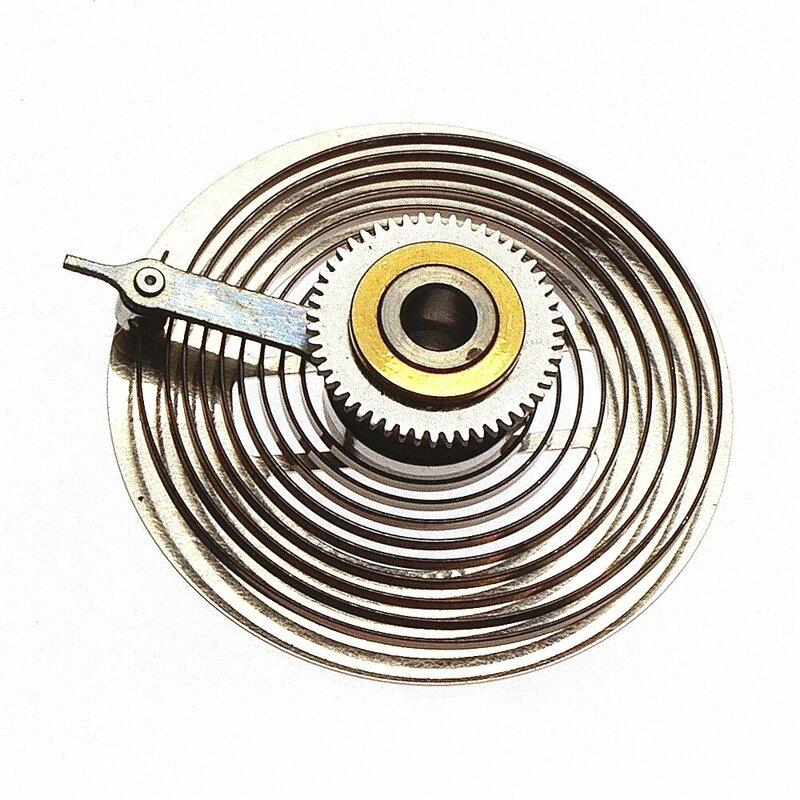 The simplified explanation of the system is through a rack and pinion mechanism. As the membrane deforms, the vertical movement causes a finger sensor to push against an arm bearing a rack at its far end. As the arm and rack move horizontally, the pinion engaged with the rack turns, which engages a gear train for the depth hands. 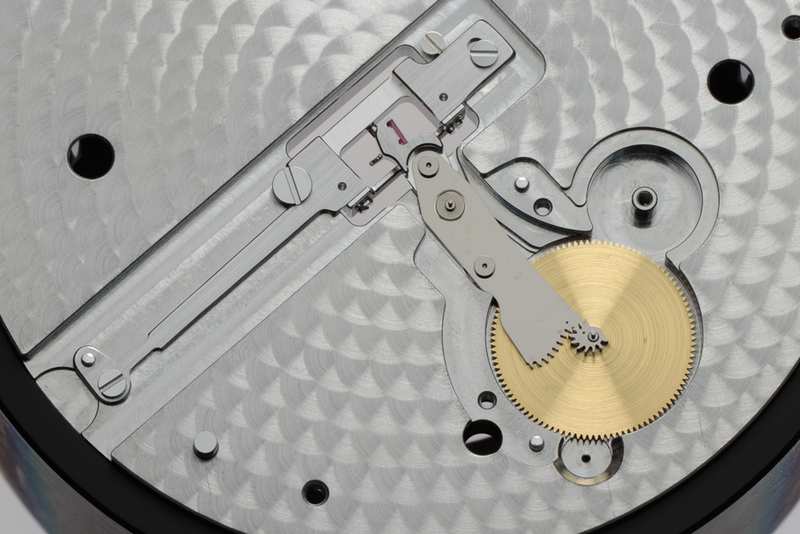 The under-dial assembled mechanism, sitting on the calibre 1315. The black base is a movement holder used when assembling the pieces. The five tubes plus seconds wheel pivot upon which 6 hands are placed. Recto-verso of the dial. Each indication color on the dial is printed in Super-LumiNova. The full set of hands. The way the hands are boxed and supplied is in itself detailed and emphasises the value of each individual component. Components from the added complication modules. Support for the captor finger. 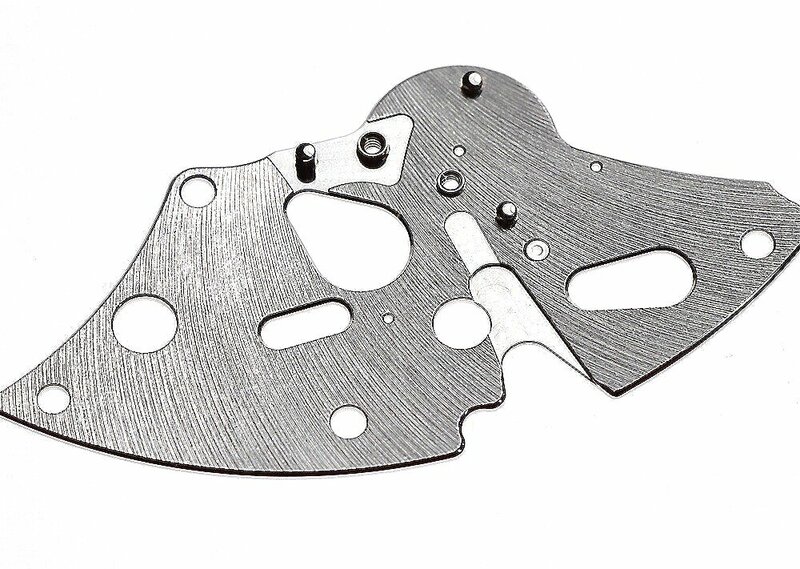 The irregular shaped pinion meshes with the captor rack. 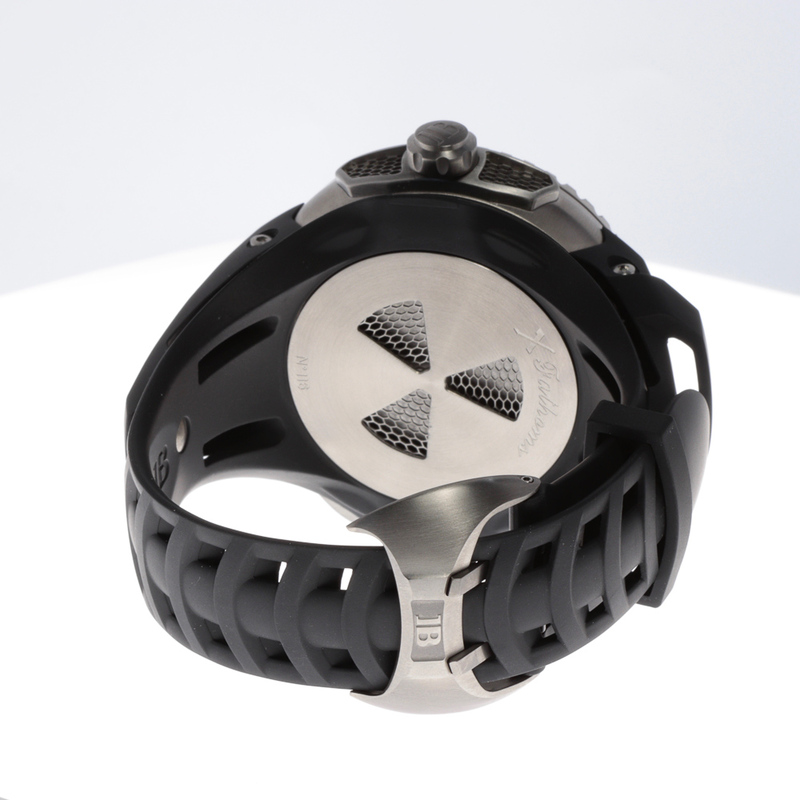 The captor rack links with a pivoted transmission finger system which touches the jewel set into the inner membrane that deforms under pressure. This in turn is converted to the indications shown on the dial. 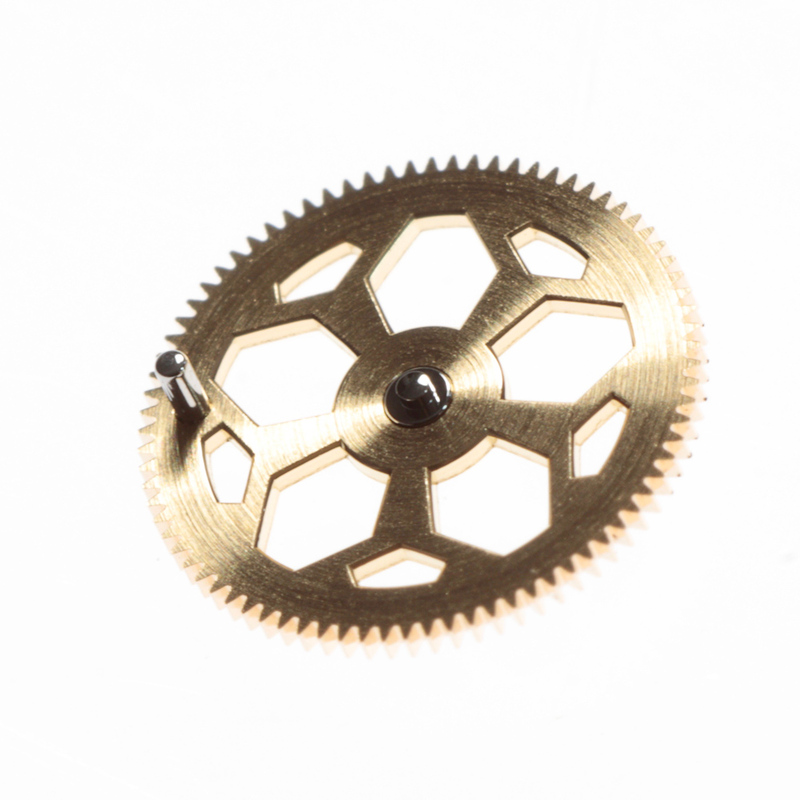 The two dots on the pinion and the captor rack are used by the watchmaker to align the two parts together during the assembly. At the far left of the captor rack is a flush fitted jewel upon which the transmission finger pushes. The module with a working mobile used to check the function of the rack system. 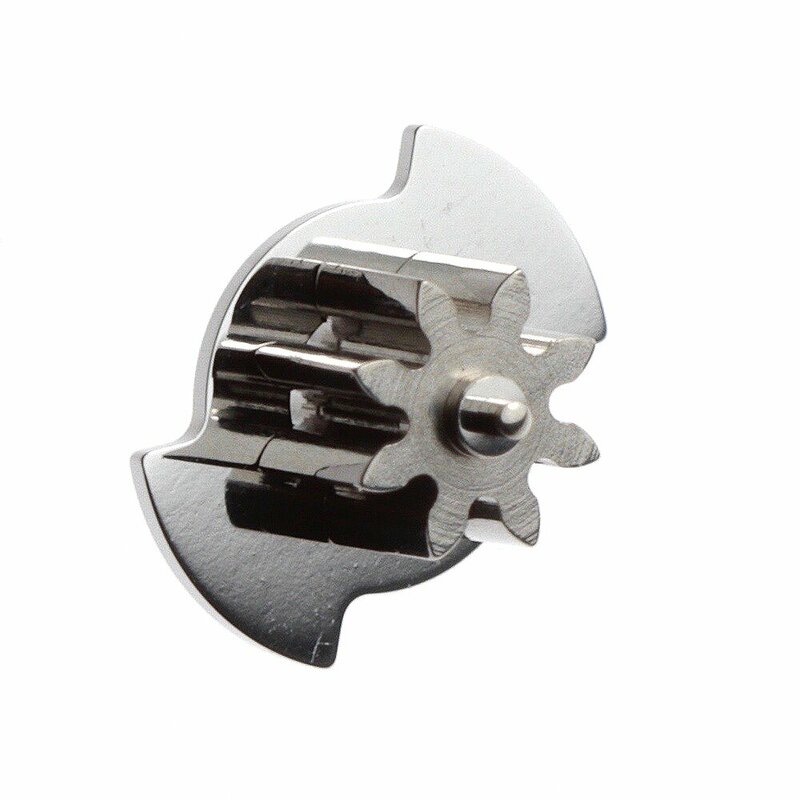 The two images below show the jeweled captor rack and the transmission finger. 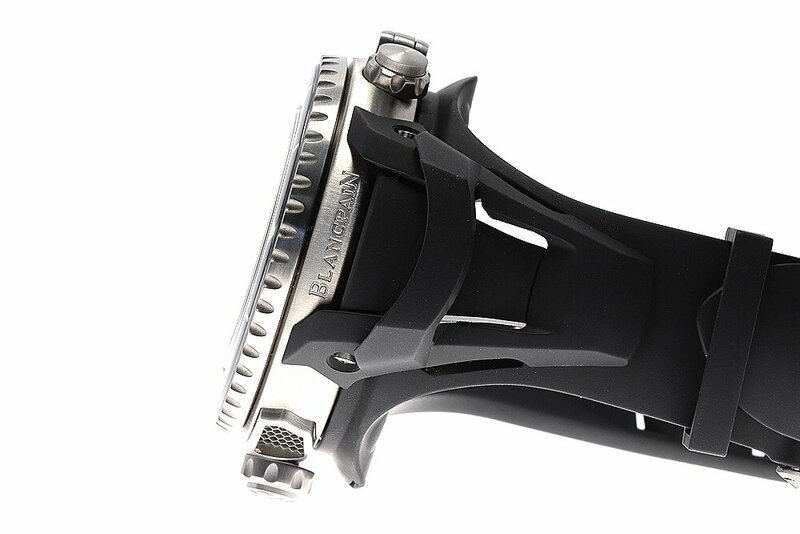 The finger will transmit variations in the depth via the pressure from the liquid steel membrane and its jeweled pillar through to the finger which will push onto the captor rack. 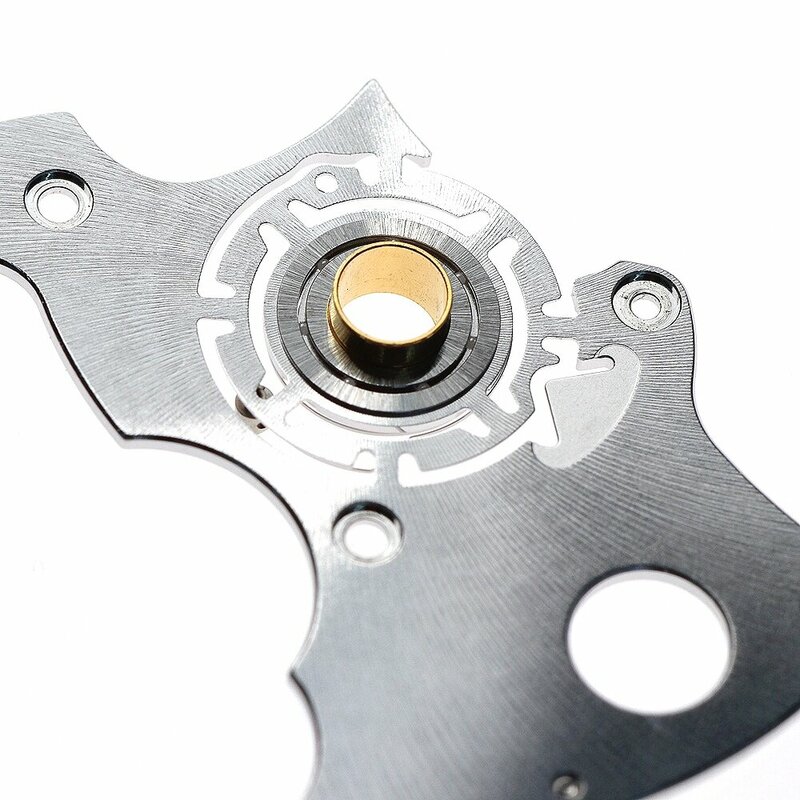 Prior to being cased up the movement is assembled and tested with a working dial and hands. Working case and support also used for assembly and testing. The dial and hands removed. Close-up of the module still inside of the working case. 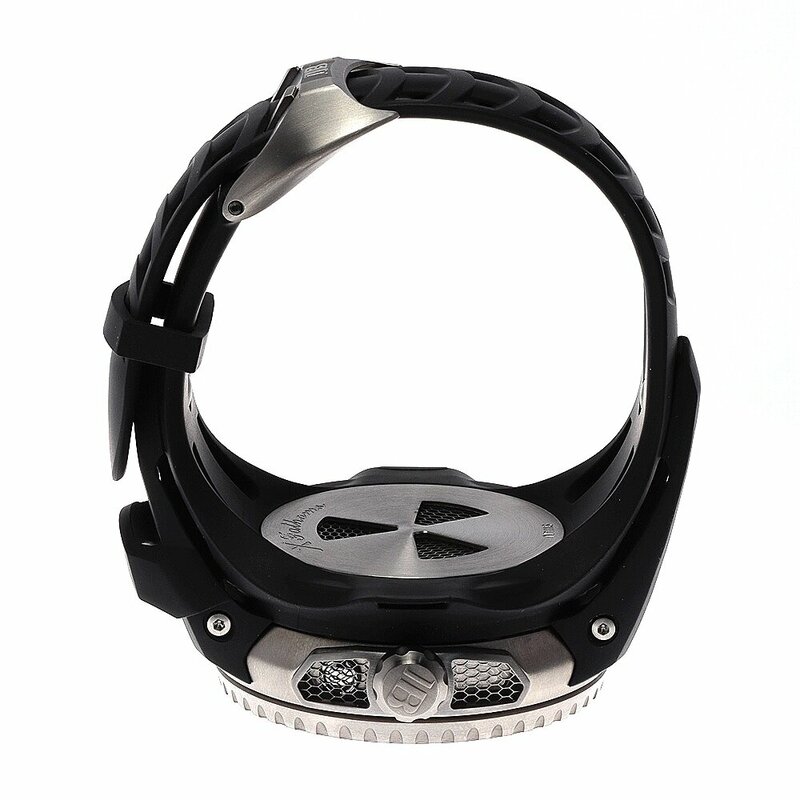 To reset the maximum depth gauge for each new dive, there is a protected pusher at the 8 o’clock position. 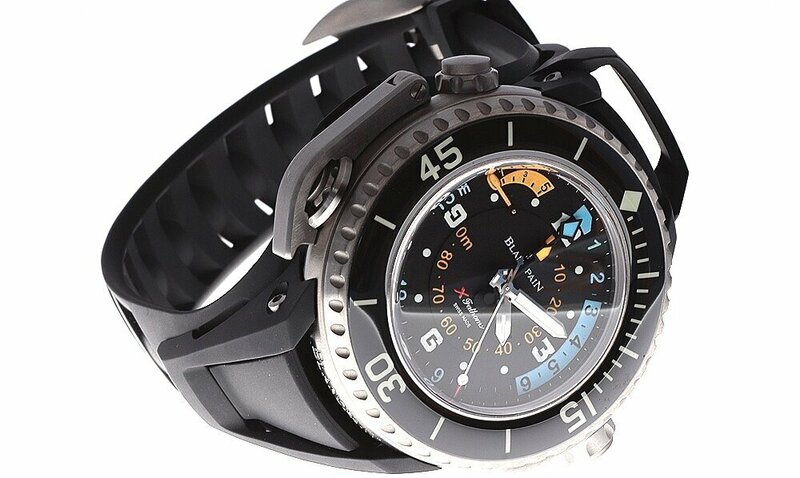 The development and execution of the X Fathoms including the use of different alloys and manufacturing processes to attain a precise and functional divers instrument, results in an understated technical achievement. 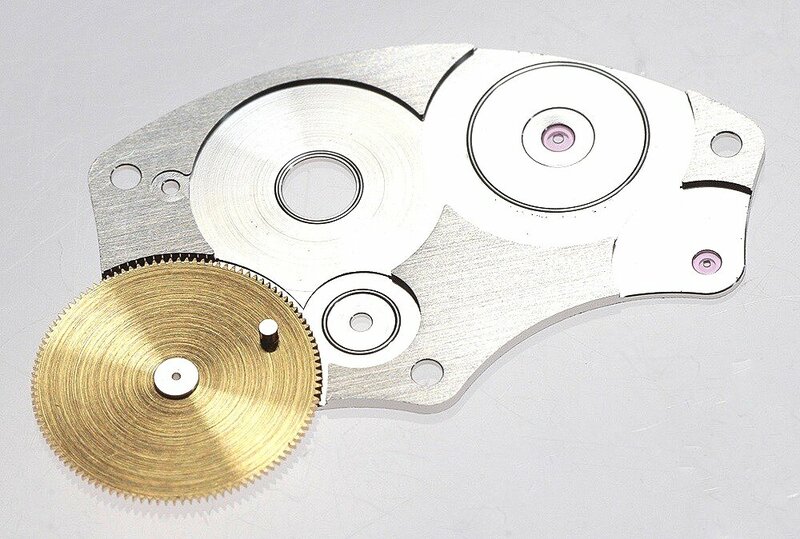 Combining watchmaking and micro-mechanics in a way that is rarely seen. The pile of boxes below represent the parts to make a single example of an X Fathoms divers watch. 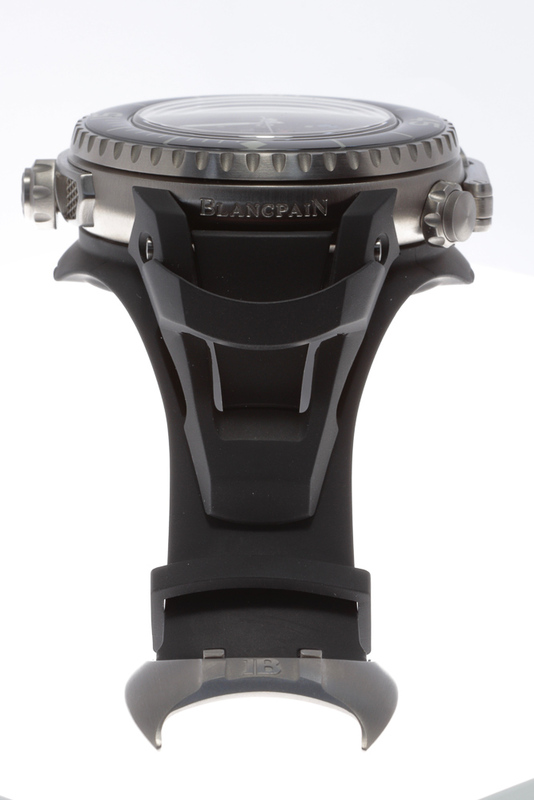 To learn more about the X Fathoms please click on the Lettres du Brassus and view edition 11.